Worming is never a pleasant subject when it comes to your dog, but as we’re sure you’re aware, ignoring it is even more unpleasant. 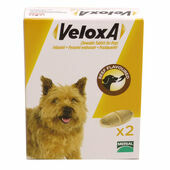 This choice of dog worming tablets are easy to administer, and provide effective treatments for roundworm and ringworm. 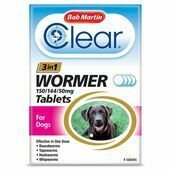 Whether your dog is a puppy or in their golden years, you should be able to find an appropriate box of worming tablets from this range – with clear instructions on dosage and ingredients used.